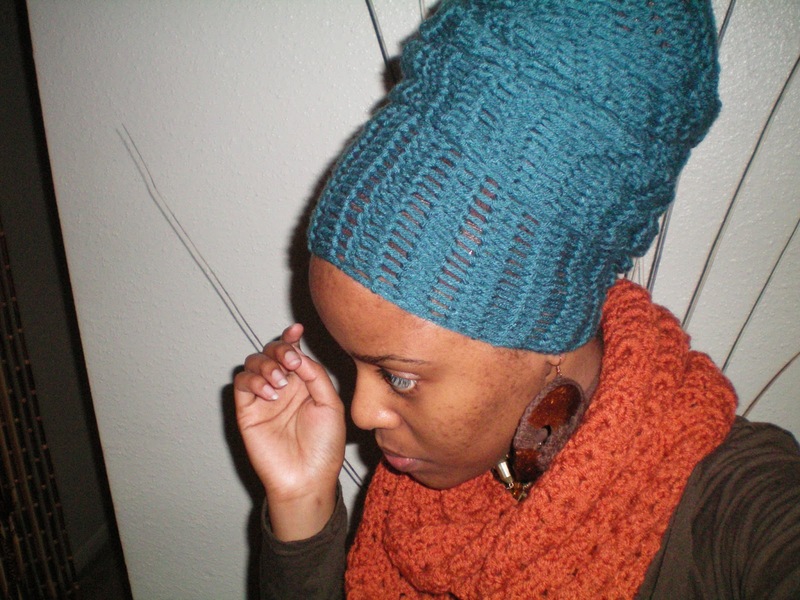 The photos above were taken January 2013 when I first started Lilian's locs. They were started with small comb coils. She has a course grade of hair so it took some time to de-tangle, part, and coil and the hard work paid off - she was satisfied and so was I. 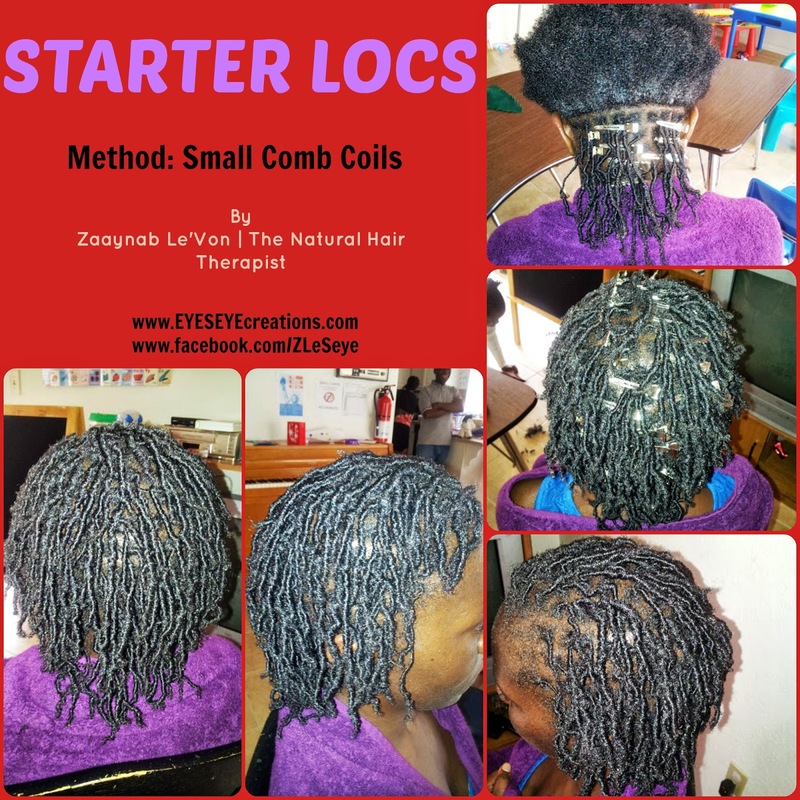 Here I will chronicle her lock journey for anyone who may be interested in seeing how locs progress using this particular method. 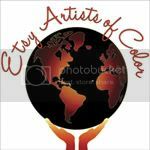 Should you have any questions or wish to schedule an appointment (Southwest Houston) please click HERE to contact me. The above photos were taken about 2 months into Lilian's loc journey. Since she started I have re-twisted her hair 3 times. 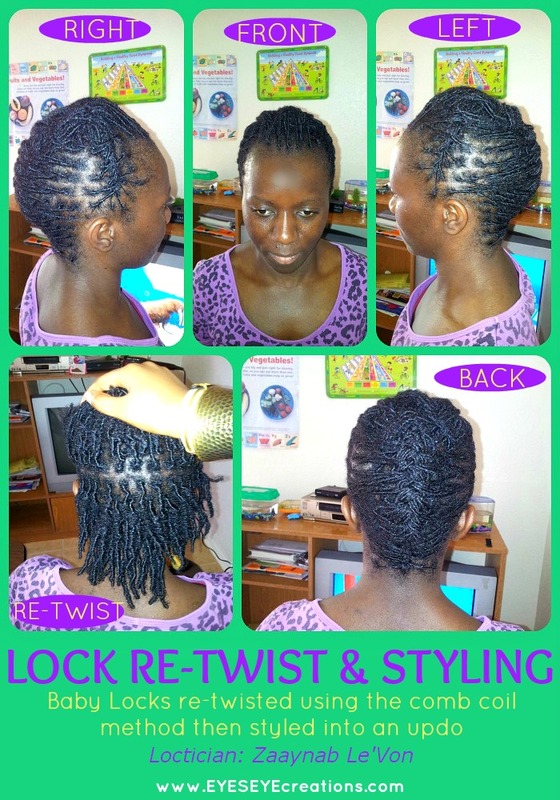 After this re-twist she got them styled into a nice simple flat updo. Her baby locks are starting to bud (as you can see in the bottom left photo in the collage above) so she is well on her way to nice head of locks. The photos in the collage above were taken August 12, 2013. 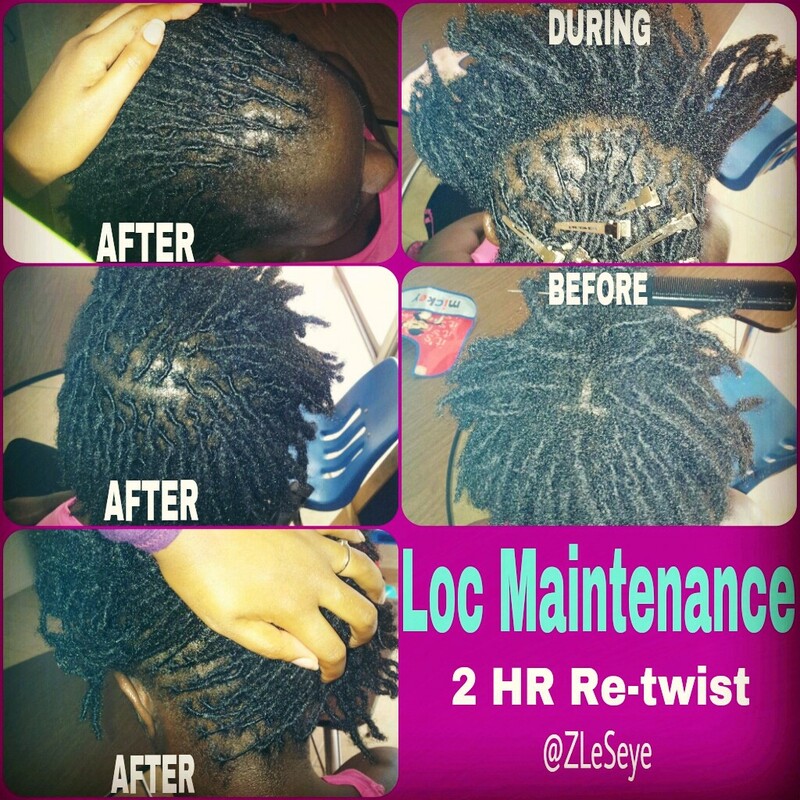 Lilian has had her locs for about 7 months now. They are all growing and locking just as they're supposed to. She and I are both satisfied with her progress.